FEATURE — Nothing puts me in the holiday mood faster than live, festive music and the Christmas groove was jamming during a special, Christmas edition of St. George News “Paper Jams” concert series. 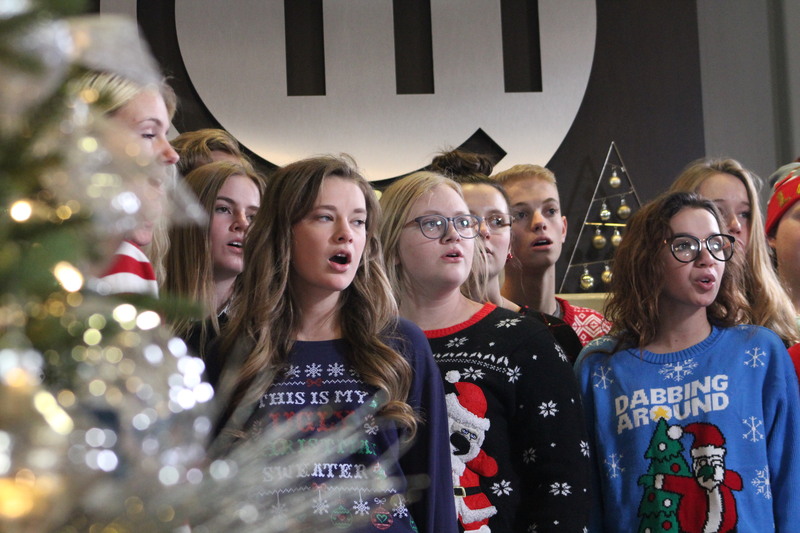 Donning their funkiest Christmas sweaters, the Desert Hill High School Chamber Singers brought finger-popping jazz chords and angelic harmonies to the Canyon Media offices recently, making it impossible for everyone in the building not to share the Christmas spirit. 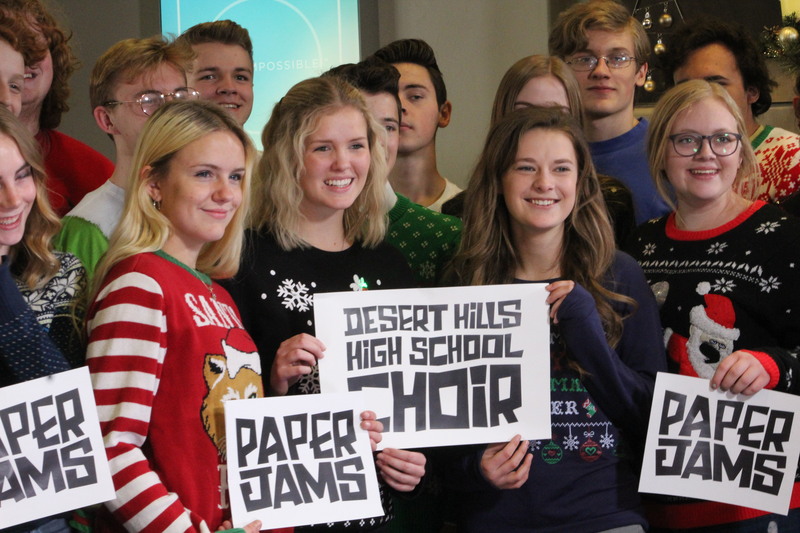 Desert Hills High School choir director Joe Woolf, who has been molding young talent at the school for the past five years, told St. George News he tries to find music that will entertain as well as be good Christmas type music. Woolf said he thinks the kids like performing “It’s Beginning” the most, but whenever they perform “Carol of the Bells” it is always fun. He said he doesn’t always pick the simplest music and likes to push the young singers beyond their limits. “If you couldn’t tell, I like jazz chords and I like that sound.” Woolf said, adding that whatever he hears and likes is what he tries to bring to the singers. “I know the kids will like it,” he said. Woolf said one of the biggest challenges is getting everyone to show up and be cheerfully motivated to start at their early morning class at 7 a.m, but said everyone is there because they love it. For the last five years the kids have seen improvement every year based on the hard work of former students and they all challenge themselves to try and do even better.